Plenty of positives to report this week despite a disastrous tempo run on Thursday. Due to scheduling problems, I had to run during the middle of an incredibly hot and humid day, and I lost all my water due to not screwing on my water bottle top correctly. So, as often happens with me, I wilted and died, even though I did finish the workout. 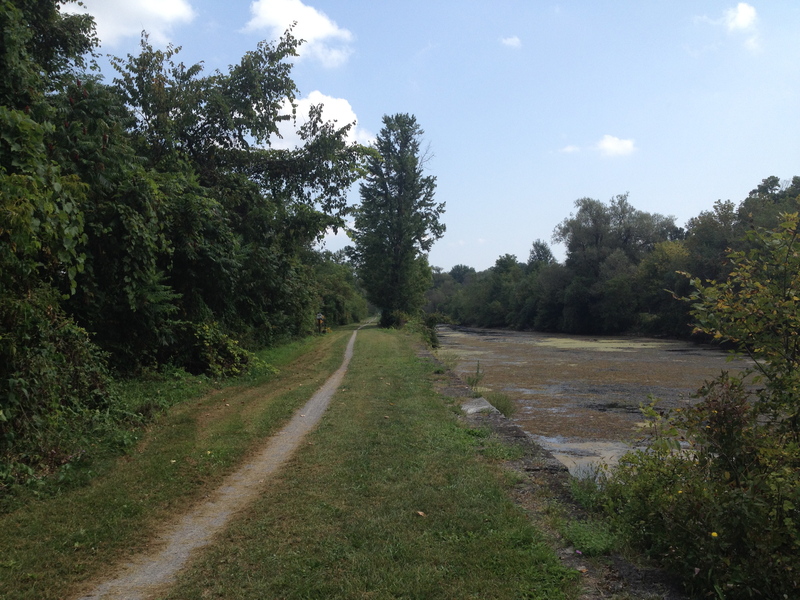 The other runs went extremely well, including the seventeen-mile long run that I detail in pictures below. I got some good hill work in this week, but most importantly, I made my weekly mileage with ease–the first fifty-mile week of the program and my first since May. No long run this week, thankfully, but plenty of miles to be run. I’m going to have to change my midweek interval run route, however, as this week’s twelve-miler brought me back into the village with very little light remaining. Summer is winding up fast, and long evening runs are going to become increasingly harder to complete before nightfall now. 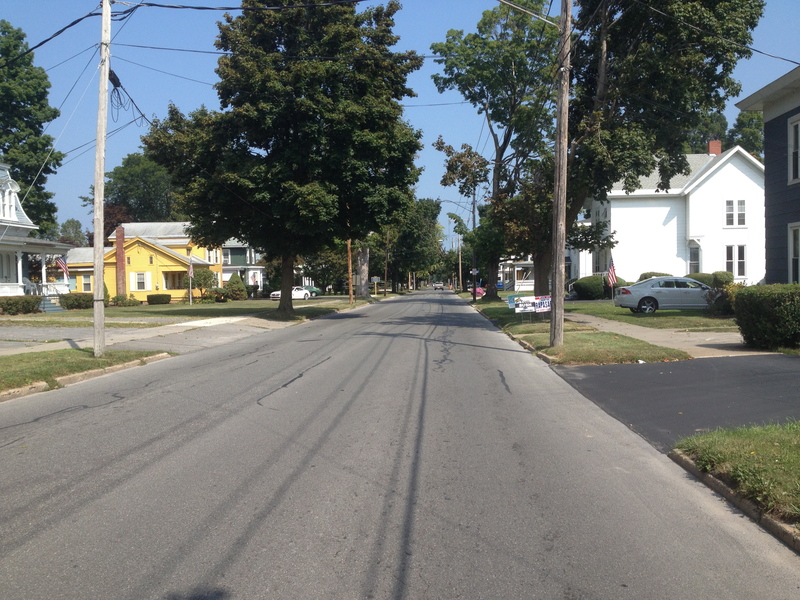 Main Street, Canastota. 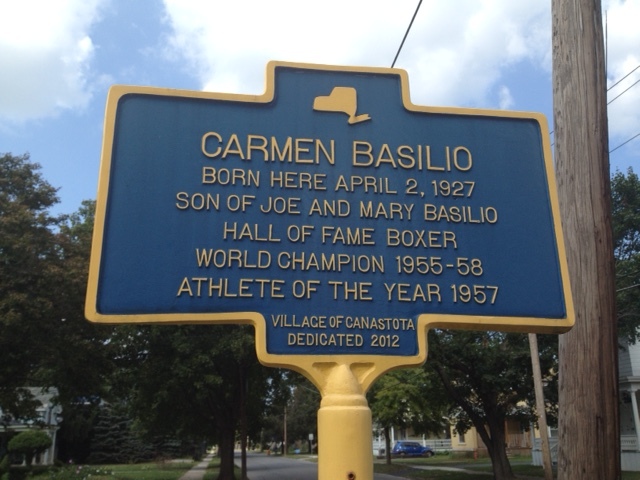 The first mile takes me out of the village and past the childhood home of Carmen Basilio, world champion welterweight and middleweight fighter, whose blue marker always gives me a little inspiration. 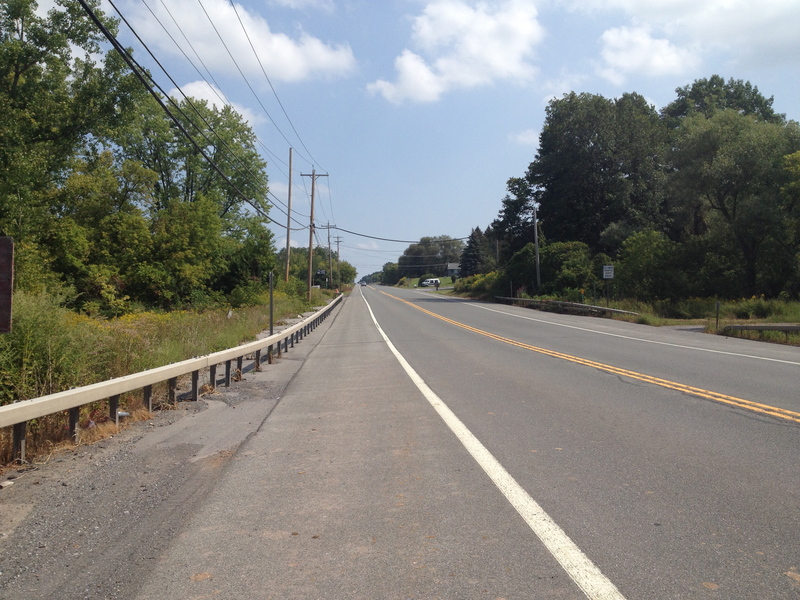 Around mile one, I cross the Thruway and run the first of three long straightaways. 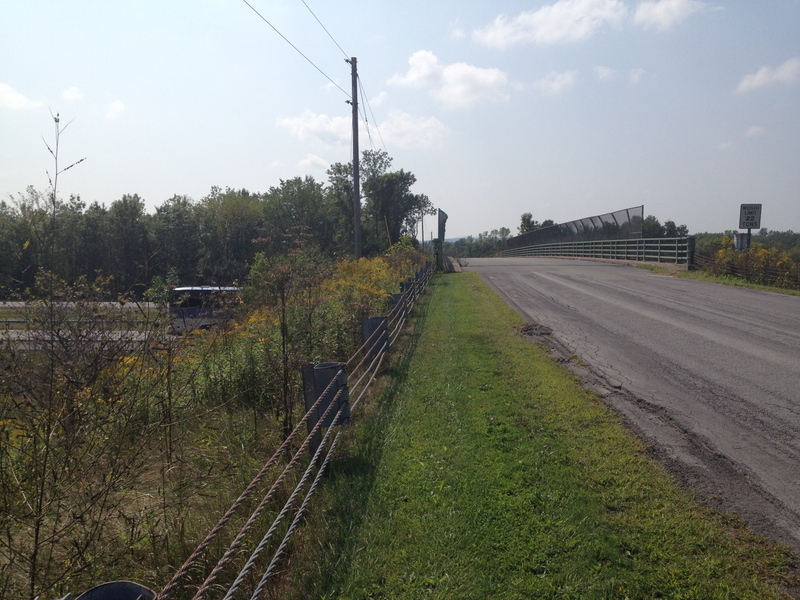 Here, the run gets a little boring–the straightaways seem to go on forever, which is tough psychologically. But they are also a good place to get a groove established and settle in for the duration. 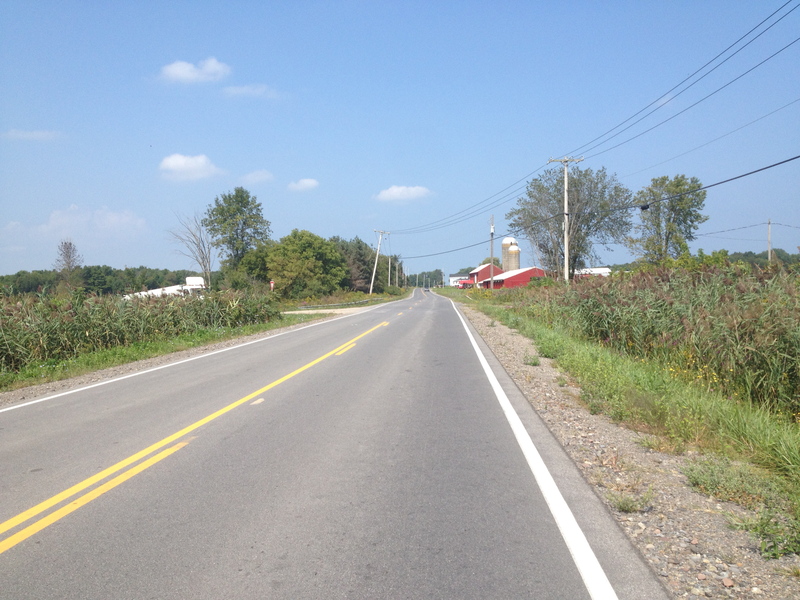 Though you cannot see it in the photograph, a grain silo at the end of the last straightaway makes a great landmark to focus on and draw me in to the eventual left turn onto Pine Ridge Road at the Great Swamp Conservancy. Pine Ridge is where I usually start to enjoy the day. At mile three-and-a-half, what looks like a telephone pole in the middle of someone’s front yard is actually a base for an osprey’s nest. During my spring runs, the parent ospreys will often get off the nest and circle around me to make sure I don’t try and attack their babies. Pine Ridge winds and turns for a couple of miles. There’s usually some nice shaded areas and little traffic. 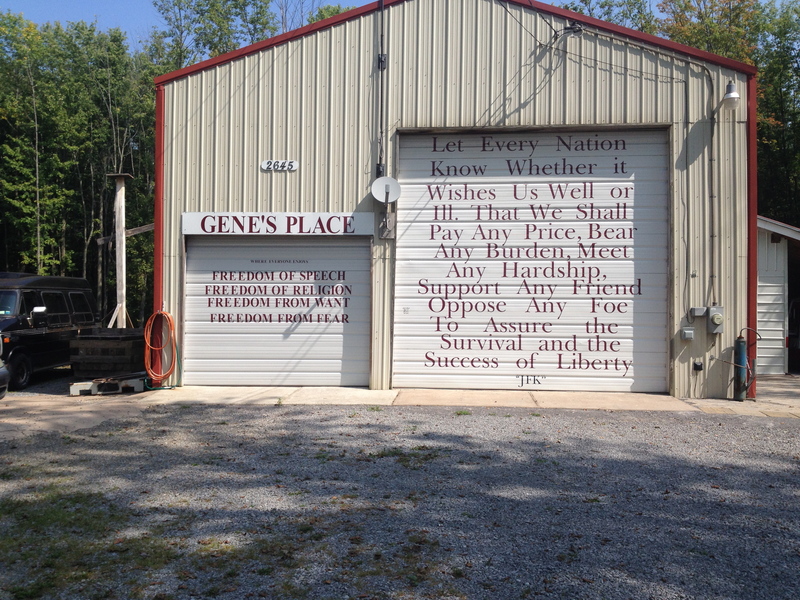 Around mile five, I pass Gene’s Place. I’ll let his garage doors speak for themselves. before eventually making the right turn onto New Boston Road. 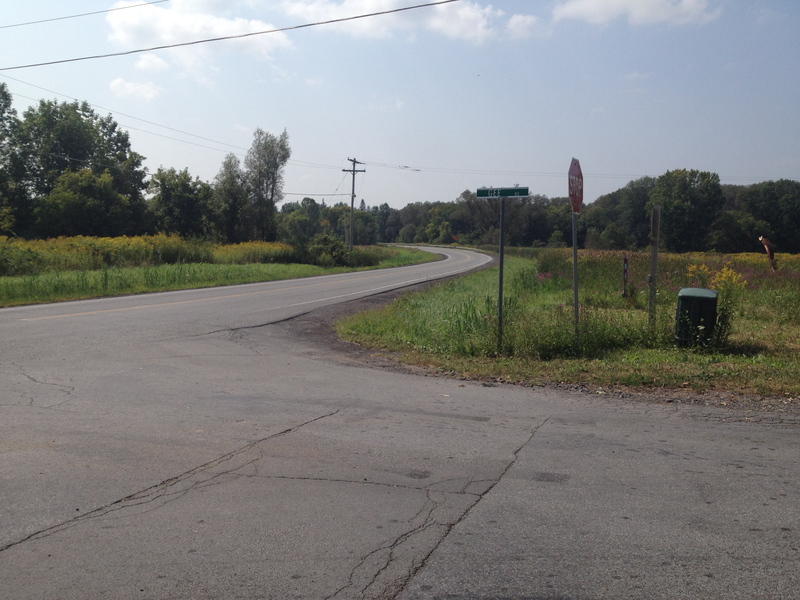 or turn right onto Canaseraga Road and keep going to join the Trail again for a sixteen miler. 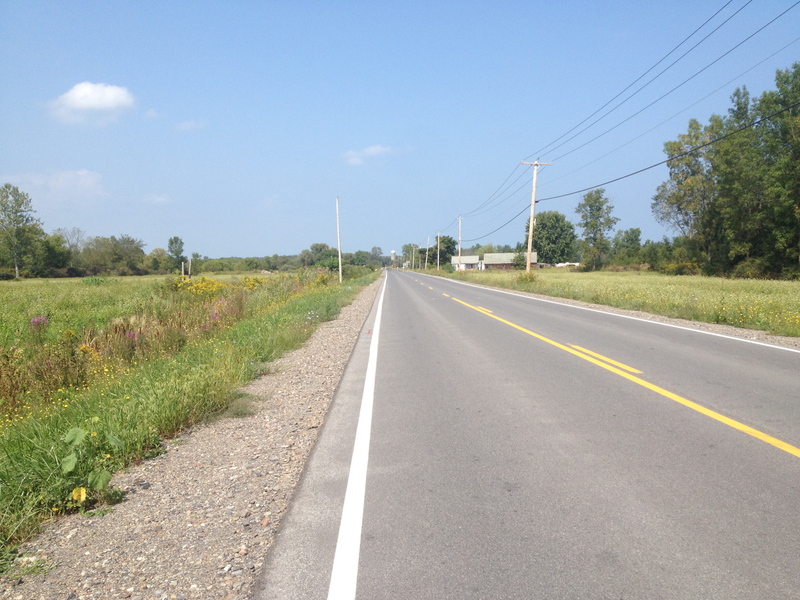 But today, after another gel and more water, it’s time to go seventeen and take on Canaseraga Hill on Route 5. I call it the Beast. The picture doesn’t do it justice, but just past mile twelve the road goes up 75 feet in about three-quarters of a mile. 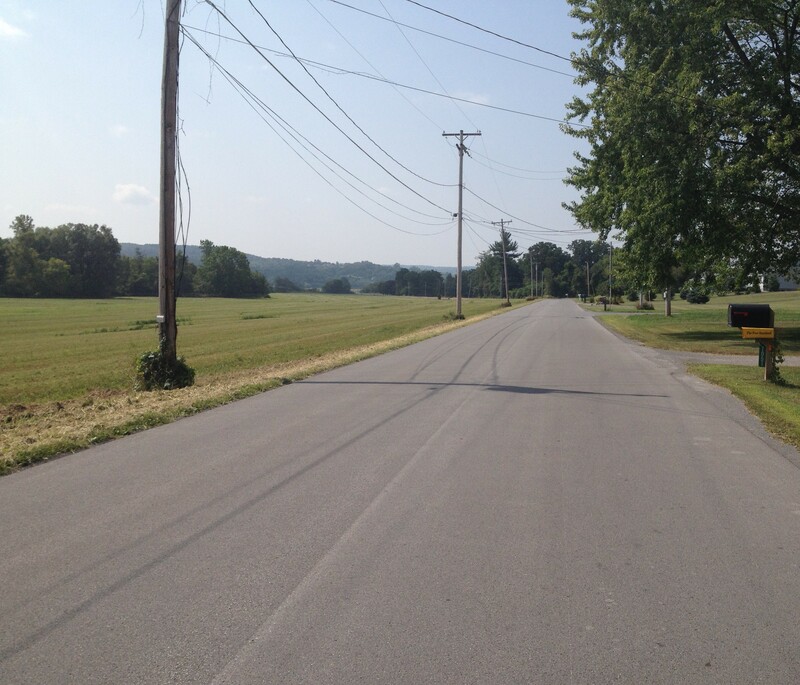 It’s not the hardest hill run you’ll ever do–just a 1.9% grade–but coming after twelve miles it can be very draining. 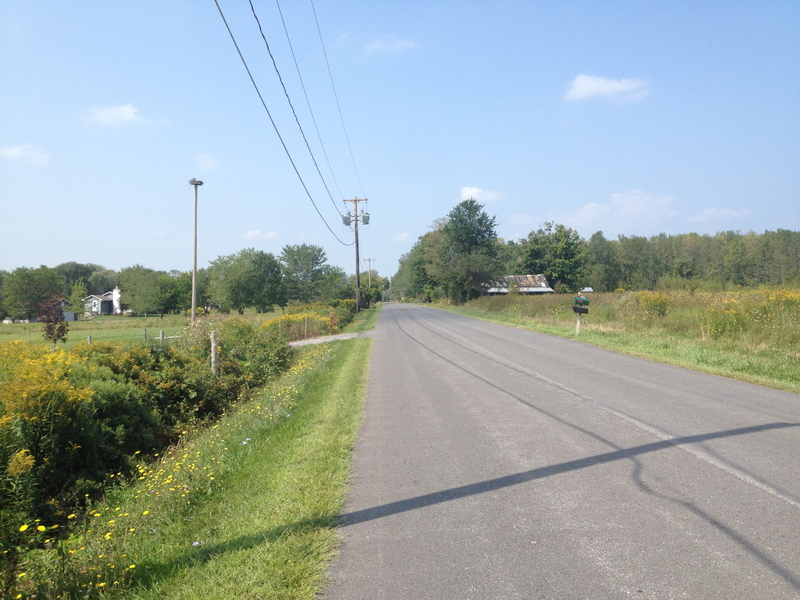 Around mile thirteen, it’s time to turn off noisy and busy Route 5 and onto Harsh Road. 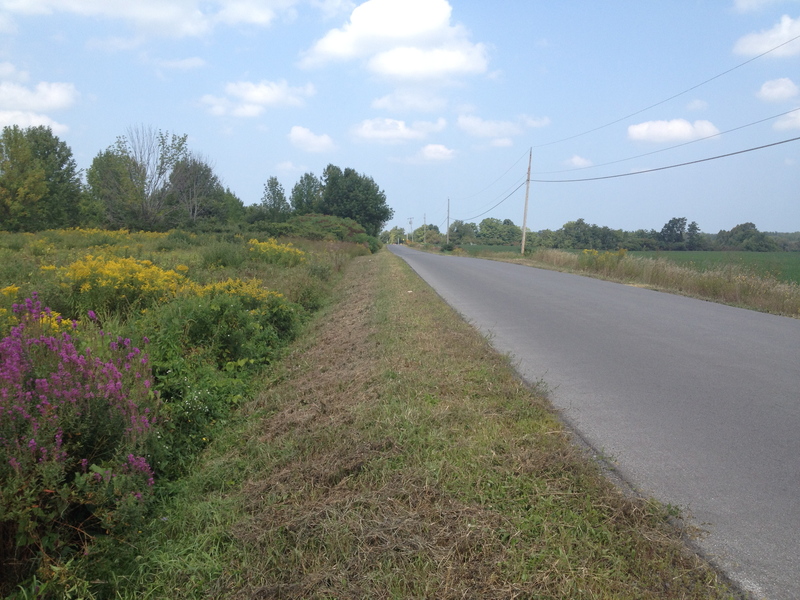 The quiet back road gives me a chance to regroup from the hill climb and enjoy the wildflowers on the roadside. 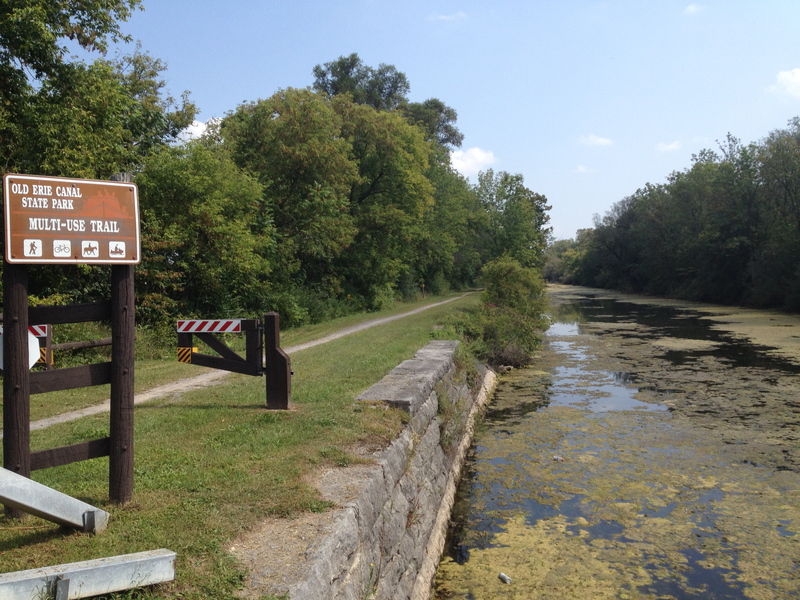 After a small decline, it’s time to join the Canal Trial for a couple of miles and enjoy a softer surface and a little more shade. 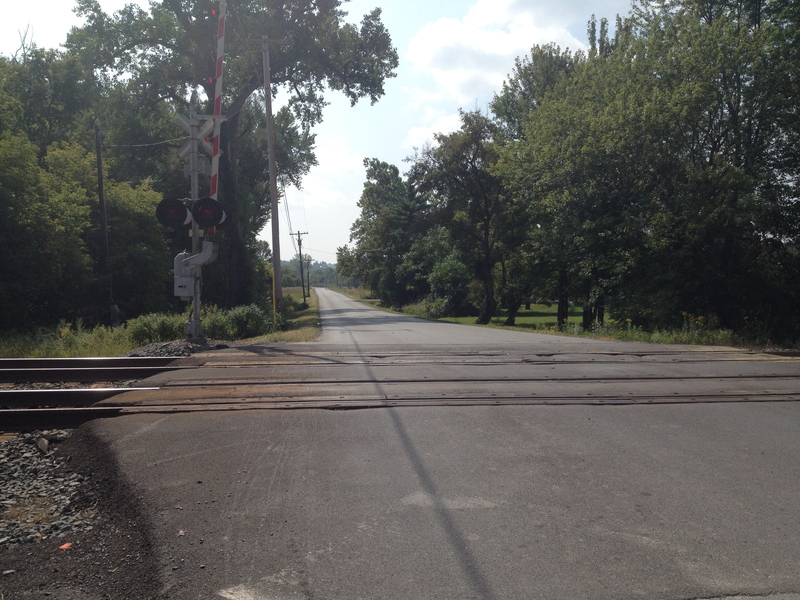 Then I cross the CSX tracks one more time and rejoin the trail at Bee Bee Bridge. 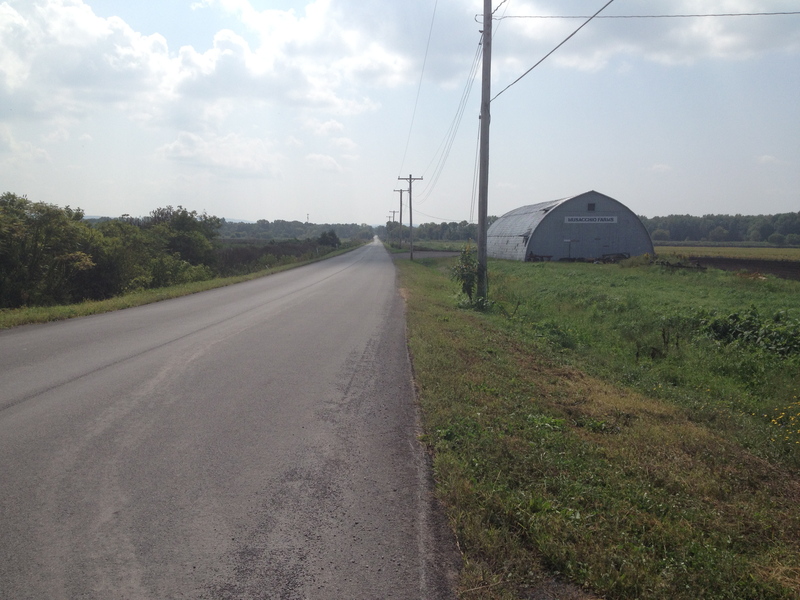 This is the home stretch–the scene of my first run in March 2011–and a place where I always reflect on how far I have come. 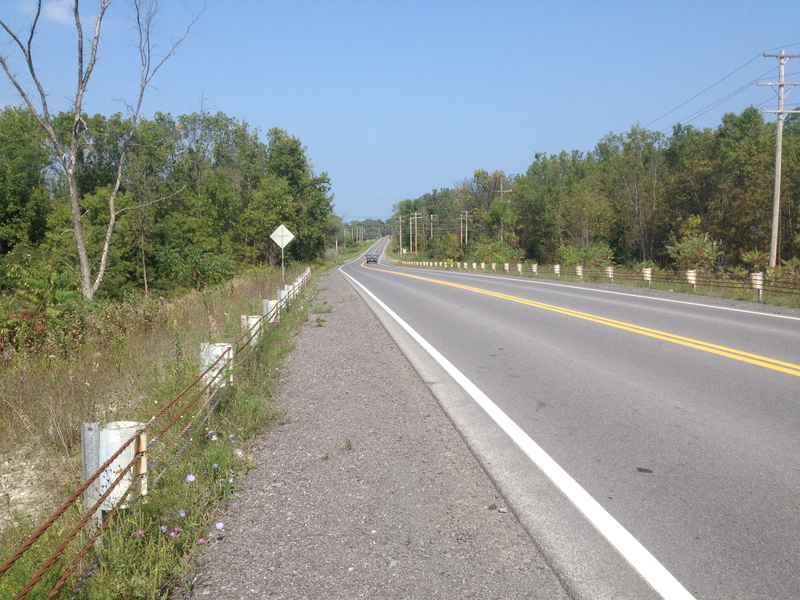 Unlike the first time, however, I am not worried about walking the last mile-and-a-half. 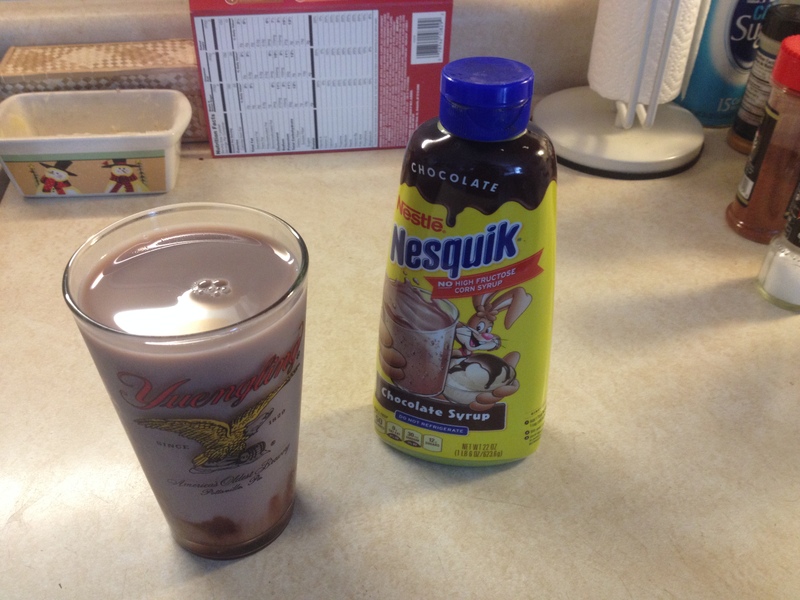 Today, I have just one thing on my mind–getting home and enjoying the traditional end to a successful long run. If you’ve been reading Semper Currens regularly, or if you’ve found anything here of use, go to my fundraising page and make a donation to the Michael J. Fox Foundation and help eliminate Parkinson’s! What do your long runs look like? Does the scenery inspire you in any way? Leave a comment here, or send me a photo, and I’ll feature it in the next Semper Currens. 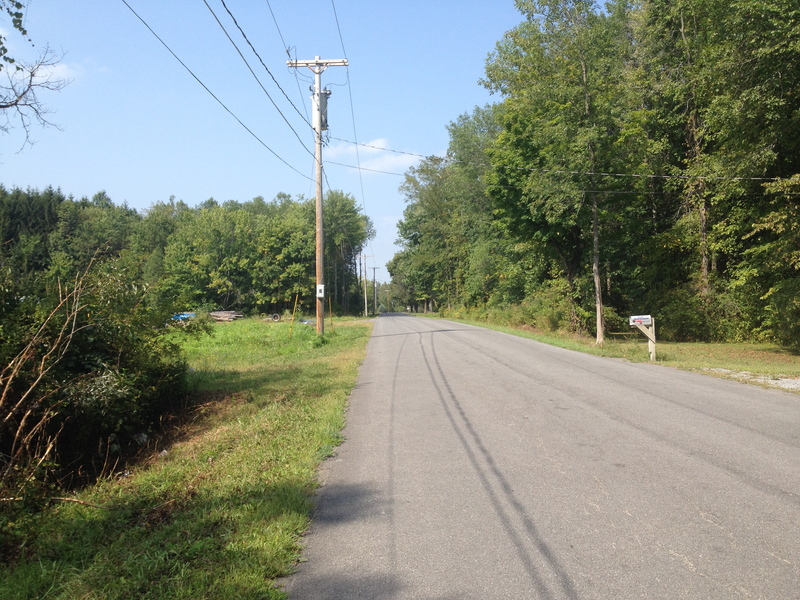 This entry was posted in Semper Currens, The Flat-Footed Fox and tagged Canastota, fatigue, Hanson's Marathon Training, long-distance running, marathon training, Marine Corps Marathon, Michael J. Fox Foundation, NY, running and spirituality, Team Fox, virtual running, virtual training. Bookmark the permalink.